Social media is perhaps the most misleading name for a marketing-related concept ever, given that it’s grown to represent a philosophy of consumer empowerment and brand/customer partnership – far beyond it’s humble roots of user-generated content. As a result, social media has different meanings and connotations to different people, many of whom utilize social media to accomplish entirely disparate objectives. That was the subject of two recent speaking engagements for me, one for the Flagstaff, AZ Chamber of Commerce, and another for the Black Hills Ad Federation in Rapid City, SD. The version on SlideShare (shout out to Slideshare.net for often putting my presentations on their home page), is the longer version that I presented in Flagstaff. It’s a lot of material. View more presentations from Jason Baer. 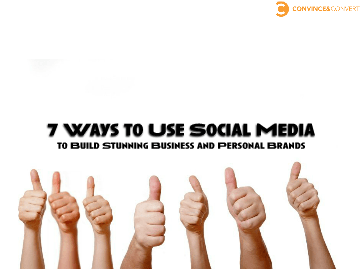 For you short attention span readers, here are the “7 Ways” for your review. Comment away if you (dis)agree. Key point: People are talking about you online, whether you choose to listen or not. Key point: Social media customer service is the new (800) number. Key point: Social media enables you to take your message to customers directly. Key point: Market sideways. Features and benefits are too boring to work in social media. Key point: Activate your fans and give them something to do. Don’t just collect them like baseball cards. Key point: Everyone in the world has expertise. What’s yours, and how to you distribute it? Key point: Social capital belongs to individuals, and is loaned to brands. You can use social networking to develop relationships online that you’d be unlikely to have otherwise. I concluded the presentation with my “6 Dangerous Fallacies of Social Media” which remains the most popular blog post I’ve written.